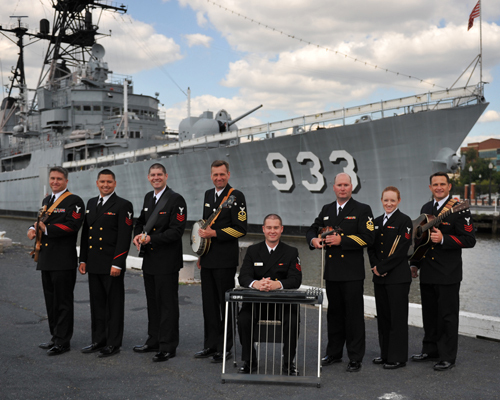 Beginning at 8pm The U.S. Navy Band Country Current country-bluegrass ensemble will perform at Rehoboth Beach Bandstand. As the premier country-bluegrass ensemble of America’s Navy, Country Current has a rich heritage of playing America’s best bluegrass and country music. Today’s Country Current performs a diverse mix of bluegrass favorites and cutting edge country music. Dynamic stage presence, musical excellence, and lighthearted, family-friendly humor are hallmarks of the band’s performances. A perennial favorite at national bluegrass festivals, Country Current shares the stage with some of the finest bluegrass artists. This year, Country Current became the very first military band to perform at the highly acclaimed SXSW (South by Southwest) music festival in Austin, Texas.